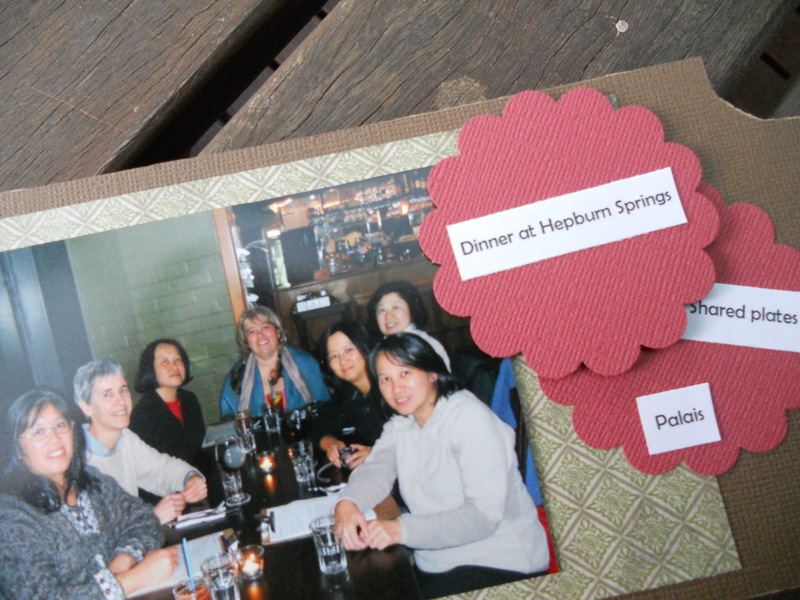 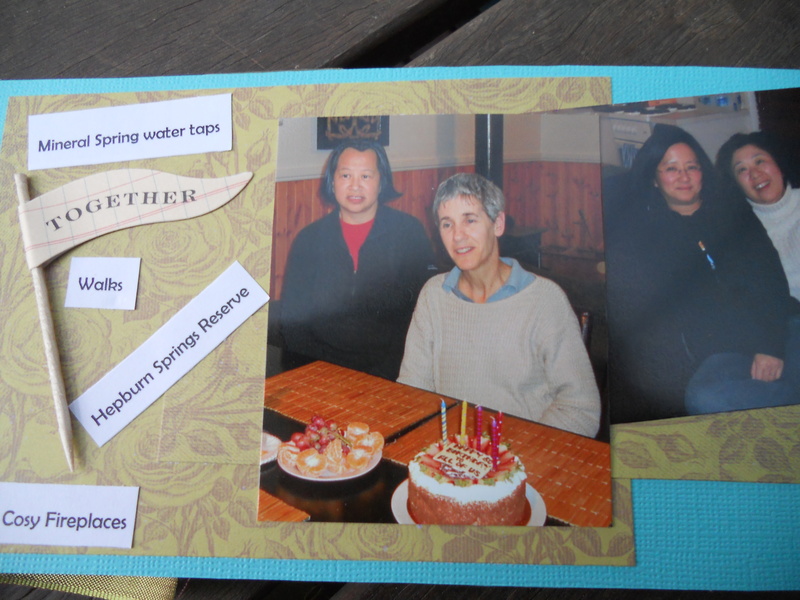 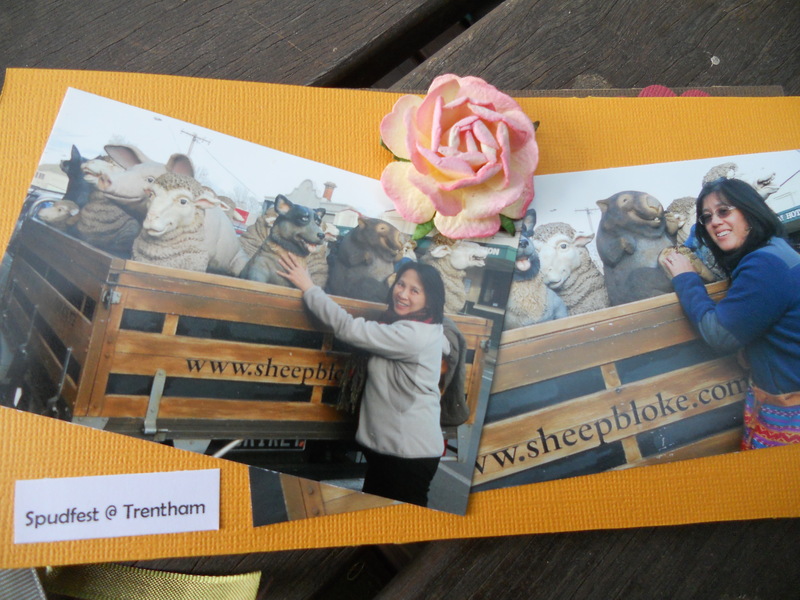 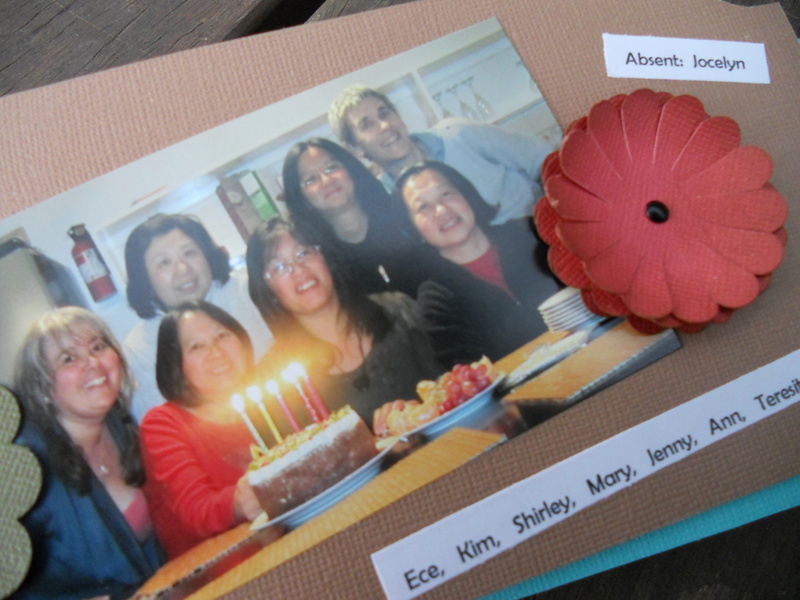 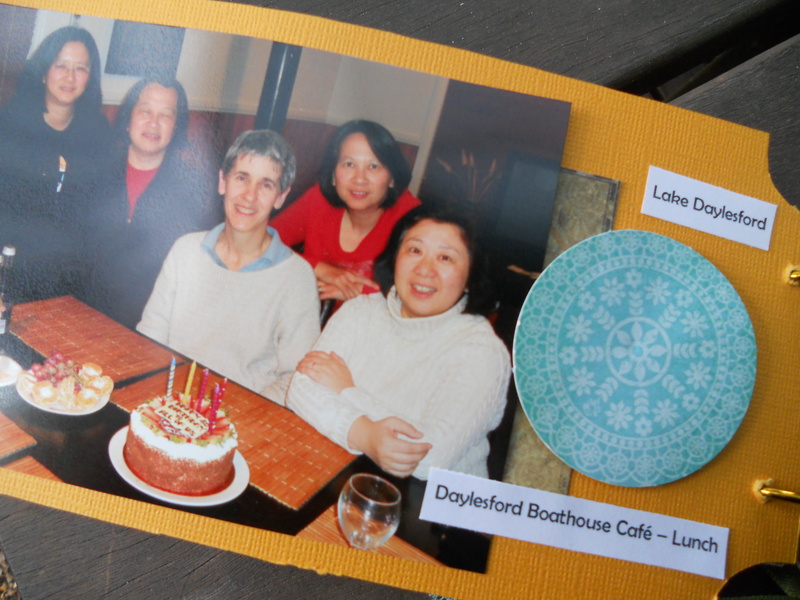 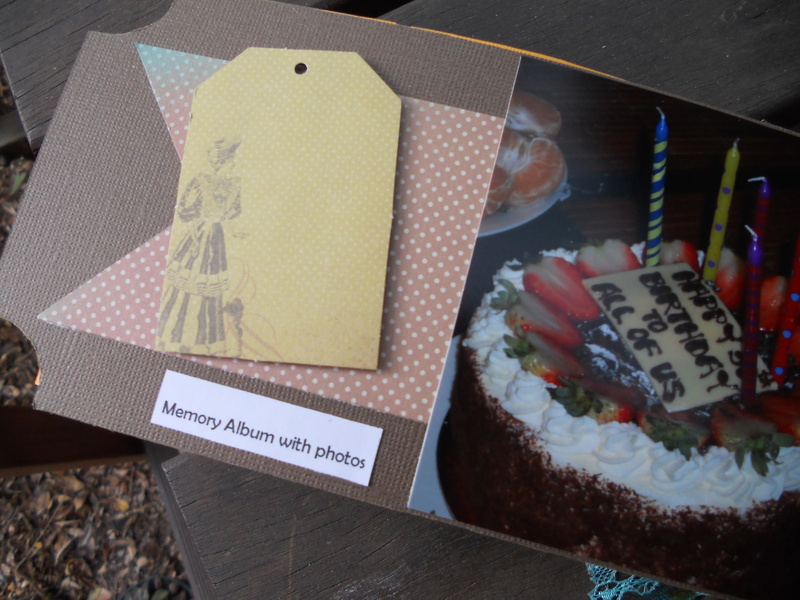 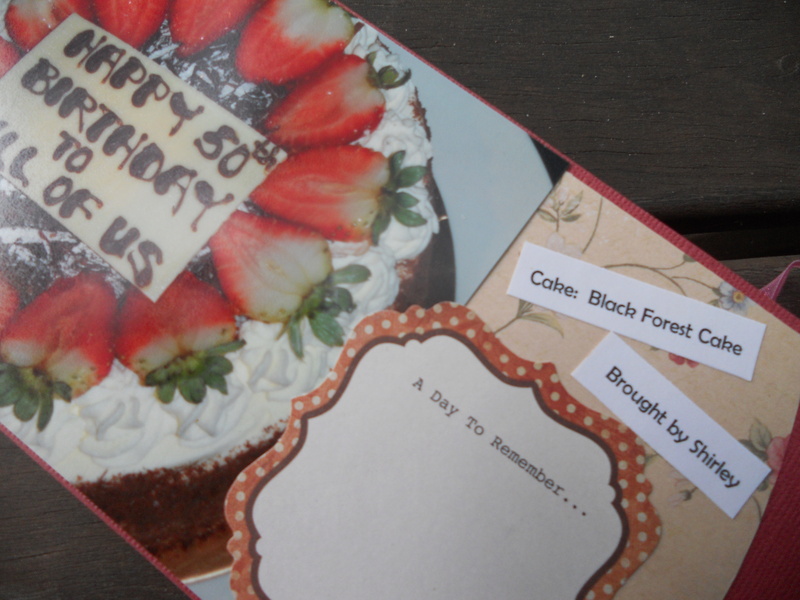 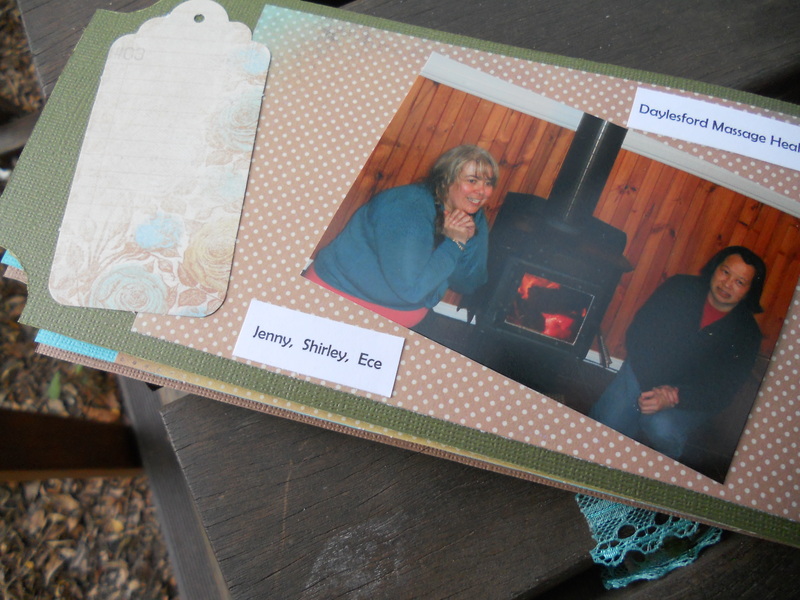 A few pictures of our girls weekend away in Daylesford for our 50th Birthdays. 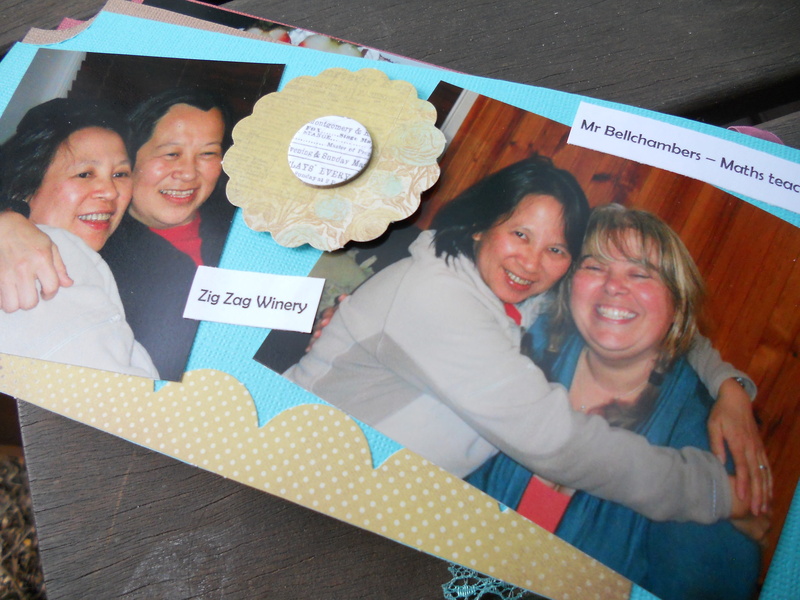 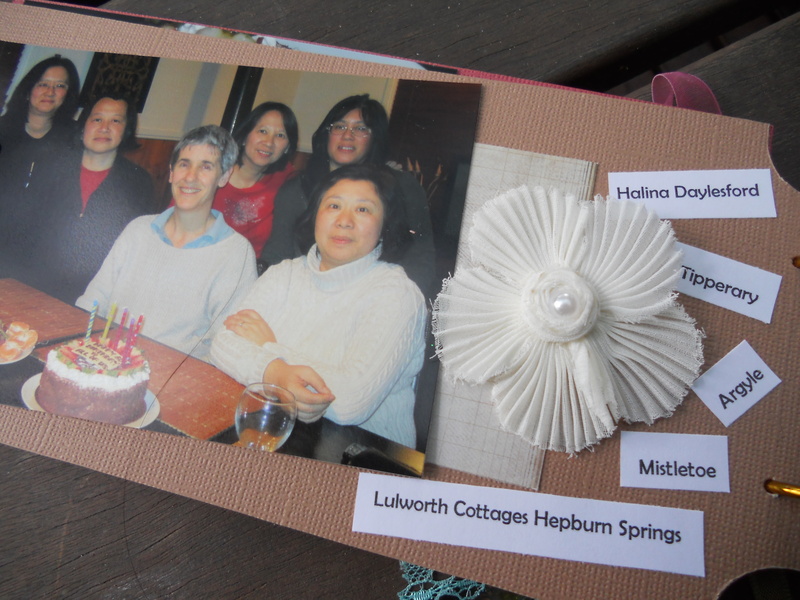 Cut pages using the Long Ticket chipboard as the template. 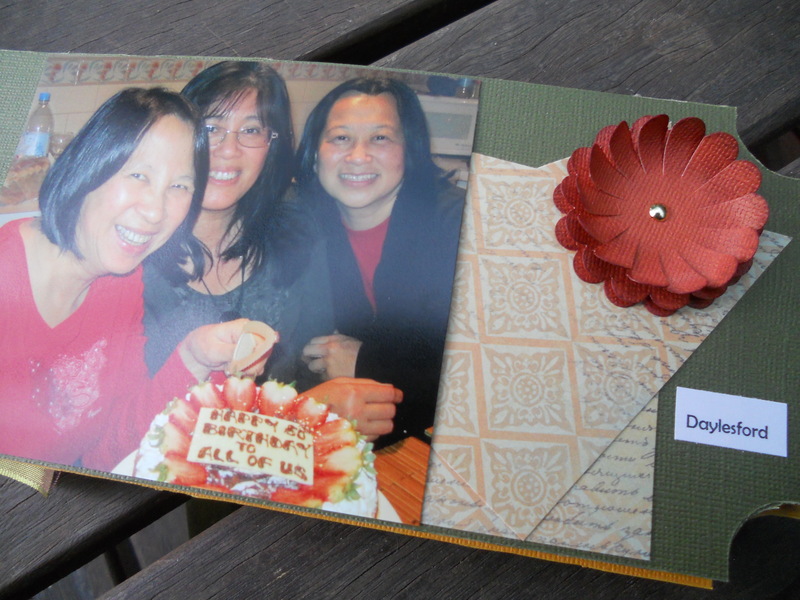 Glue pages over the chipboard and decorate – distress the edges and sponge with Distress Ink. 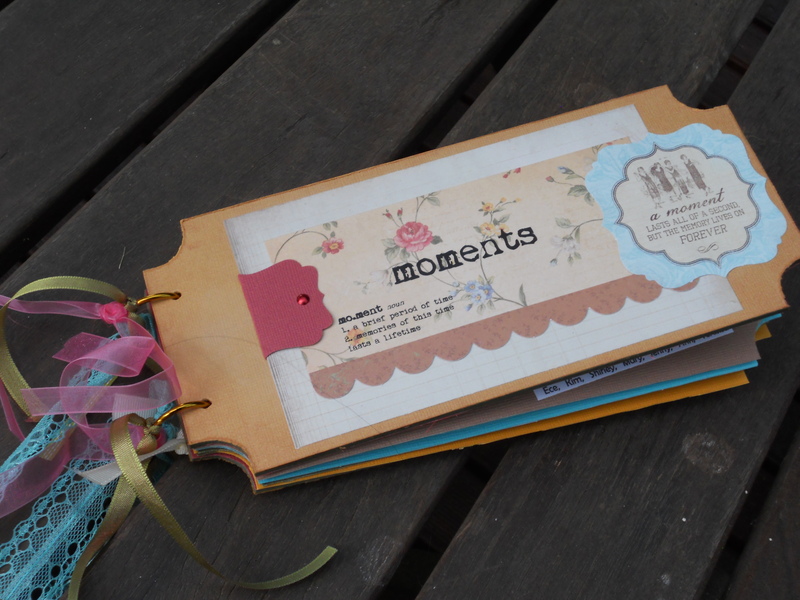 Print words from the computer and cut into strips to glue to the pages. 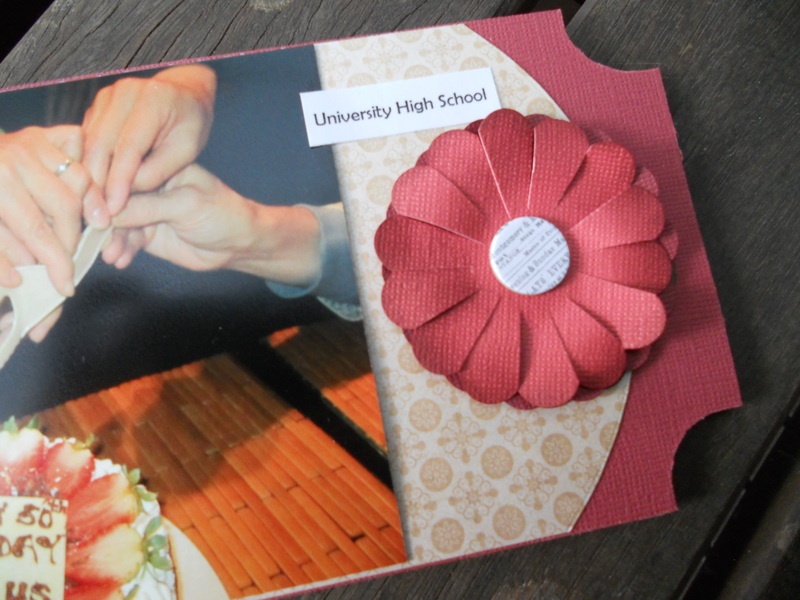 Cut flowers from Stampin Up die cuts.